Jason is CEO & Managing Director of Energy Foundry, an energy and cleantech impact venture capital fund, where he sets the firm’s vision, leads its investment activities, and advises its entrepreneurs. He is Executive Director of ISEIF, a non-profit that teaches consumers about the Smart-Grid. Jason is also an Adjunct Assistant Professor at the University of Chicago Booth School of Business, where he teaches energy and cleantech entrepreneurship. He a Board member of multiple companies and is on the Advisory Boards of a number of leading industry and nonprofit organizations. Prior to co-founding Energy Foundry, Jason co-founded Energy Results, where he was the company’s CEO. At Energy Results he built a leading residential energy business, which gained significant market traction and was adopted by industry leaders such as Best Buy. Before co-founding Energy Results, Jason worked at McKinsey & Co. where he was a member of the firm’s Energy & Climate Change leadership teams. Earlier in his career, Jason worked for the CEO of GVW Holdings, an industrial and transportation platform of The Carlyle Group, where he led direct investments and was an active Board Member of GVW’s portfolio companies. 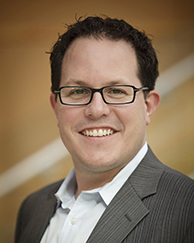 Prior to working with GVW, Jason served as Vice President of Corporate Development at The Interpublic Group. Jason other experience include working for Sterling Partners and the Transaction Advisory Group at Arthur Andersen. Jason is a frequent speaker at industry events on energy, cleantech and smart grid. He has been featured in numerous media outlets (TV, Print & Radio) including NBC, Entrepreneur, Crain’s, PBS, the Chicago Tribune, the Chicago Sun-Times and Greentech Media. He was named by NBC as one of Chicago’s top “Eco-preneurs”, WGN as their “Entrepreneur of the Week” and received multiple “40 under 40” awards. He received a Master of Business Administration degree from the University of Chicago Booth School of Business, where he received the Dean’s Award of Distinction and a Bachelor of Arts degree from Michigan State University.